Between work and play, I end up travelling a lot. This month, for example, I’m spending the equivalent of two-and-a-half weeks on the road, bumping between Singapore, Thailand, China, and Indonesia. I’m jokingly calling it #aprilasia. While San Francisco is the center of my life, good work and important relationships aren’t concentrated there alone. Instead, life happens both in the Bay Area and also at a bunch of other complementary locations around the world. For better or worse (and often, for both), travel has become a significant part of my life. Adjust my eating schedule first: I’ve learned to focus on adjusting my eating schedule instead of worrying about my sleeping schedule. If I start eating on my destination time zone before getting on the plane, I’m better able to avoid jet lag when I get there. This means sacrificing the perceived value of plane food (which I tend to eat out of obligation and frugality rather than hunger), planning ahead to bring my own snacks on the road, and often forcing myself to eat when I don’t have any interest (i.e., it’s lunchtime here, but the middle of the night my time). If I can fix my eating cycle, however, my sleep cycle follows. I can’t make a watertight case for the science behind it (though I did do a bunch of jet lag research at some point), but it works. Take advantage of gyms: The challenge and time involving in getting up, getting dressed, relocating to the gym, battling for a machine, showering in a foreign place, and pre-packing the day’s outfit often provides a convenient and reasonable excuse why I don’t exercise on any given day at home. When there’s a gym in the hotel, however, I lose that excuse. I try (though the operative word is try) to work out more on the road because the facilities are far more accessible. Set boundaries: As travel has become more frequent I’ve realized that, at some point, I can’t just string obligations together. After a few ‘mega-trips’ last year, I now aspire to schedule trips no longer than ten days. Even if it means flying back-and-forth to break the trip up, it’s worth it for me. Do just one local thing: When I started travelling, the best piece of advice I got from a seasoned road warrior was this: “Wherever you go, make sure you do one local thing.” It could be anything: going to drinks with a friend, taking two hours to wander around a museum, or walking through town on your way to work. Sometimes it’s hard to convince myself that I have ‘permission’ to do this, especially if I’m travelling for work. 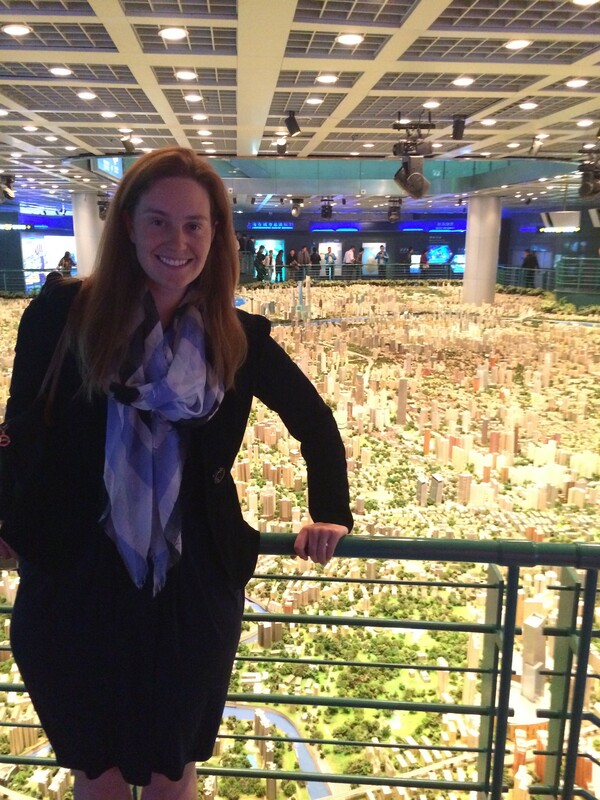 But the two hours that I spent at the Shanghai Urban Planning Exhibition Center last week (a scale model of Shanghai! a golden statue of the skyline! ambition incarnate in display after lighted display!) made me better able to connect to understand Chinese development and also gave me some karmic comfort when I later found myself flying on Friday night. The trip became worthwhile in a bigger, more personal way. Acknowledge all parts of the truth: Friends often ask the question: “Do you like to travel so much, or not?” While it’s easy to fall into their proposed binary framing and either assert that “I love it!” or “I hate it!”, there’s often a more subtle truth. For me, it’s important to acknowledge that travel is exciting, challenging, and exotic and also overwhelming, exhausting, and annoying – all at the same time. I love the opportunities that come with travel, and I hate being dislocated from friends and family. Acknowledging the full range of emotions that comes with travel – instead of glamorizing or demonizing it – helps to keep everything real. Hold tight to gratitude: Finally, it’s easy to fall into a world-weary mindset when I’m always on the road. Travel can lose it’s charm and challenge. And even the loveliest of destinations can go from being shiny, new, and delightful to being curiously familiar and even bothersome. Whenever I stop seeing the amazing side of these experiences, I ground myself in gratitude. It is incredible that I get to develop such a broad perspective on life. It is incredible that I am able to feel at home in the world and connect to so many diverse people. Whatever the sacrifice, I can’t believe I’m deserving of all the places I go; I’m humbled by it. Great advice, I always struggle with time zones! I subscribe to doing the one local thing advice. 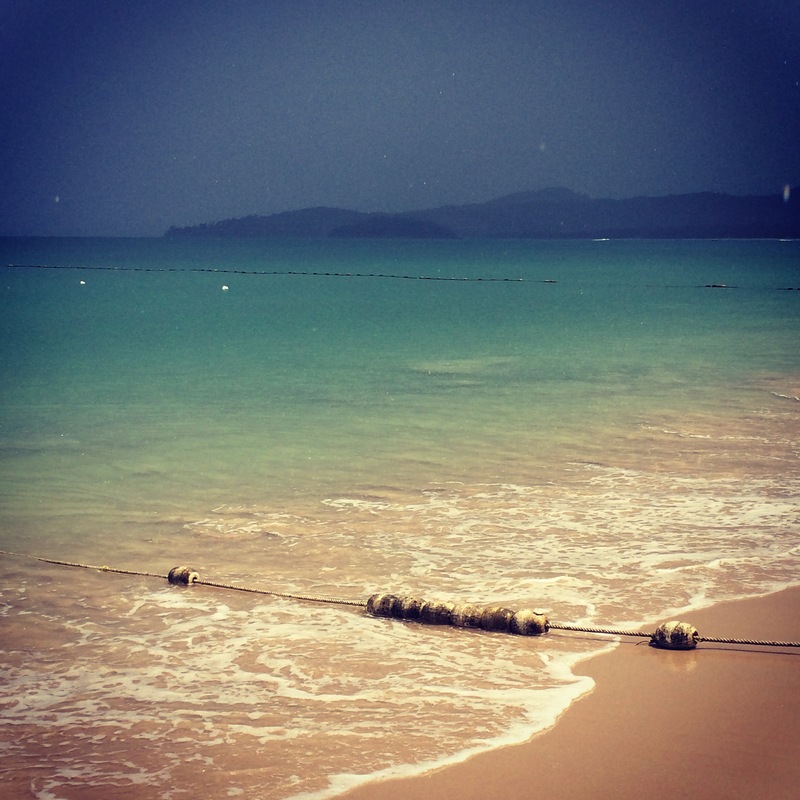 Loved the beach picture from Phuket. What’s your best “one local thing,” Debra? Most recommended? I’m specifically in the market for advice on Boulder, London, and Frankfurt as the near-term destinations!